Is it a competion between you two now? hehe. Competition?... I dunno.... maybe a little bit. New favorite genre? definitely not! New favorite genre? definitely not! Not a new favorite, maybe, but come on, you're warming up to musicals, aren't you? Direct from the vault, Disney's 6th full-length animated film, Saludos Amigos is available for the first time ever! Loosely translated as "Greetings, Friends," it features the Academy Award®-nominated* song of the same title and showcases the brilliance of Disney's legendary animators. A whimsical blend of live action and animation, Saludos Amigos is a colorful kaleidoscope of art, adventure and music set to a toe-tapping samba beat. Your south-of-the-border traveling companions are none other than famous funny friends, Donald Duck and Goofy. They keep things lively as Donald encounters a stubborn llama and "El Gaucho" Goofy tries on the cowboy way of life...South American-style. From high Andes peaks to Argentina's pampas to the sights and sounds of Rio de Janeiro, Saludos Amigos is a hilarious visual feast that will entertain and delight the whole family. Saludos Amigos is considered one of Disney's lesser efforts, and its not hard to see why. That's not to say this is a bad film, only that it will never be counted among my favorites. It's also not my least favorite. The framing story dates this film; those psuedo-documentary sections are condescending. The cartoons are fun. My favorites were the beautiful Aquarela do Brasil and the amusing El Gaucho Goofy. The other two are good, but I didn't find them to be quite as good. I do wish Disney didn't feel the need to censor their earlier films for our "enjoyment." A bit of smoking has been excised from El Gaucho Goofy, and though it's lack doesn't hinder enjoying the short, censorship is a terrible thing. I'd like to see the package films come out on blu-ray - Saludos would make a nice 2-pack with The Three Caballeros. I'm not a fan of any shows that had musical episodes, but I do love me some Austin City Limits. Haggard appeared on 9 episodes of the show - I have the DVD from the 86 show, his fourth appearance. This is a great little short concert, with several of his classic songs. Though I do wish he did the original "Okie" instead of the follow-up, and it doesn't include "Are the Good Times Really Over" which I also really like. Highly recommended if you like outlaw/classic country music. This was Jennings second appearance on Austin City Limits; the first being in 1984 and a third in 1997. 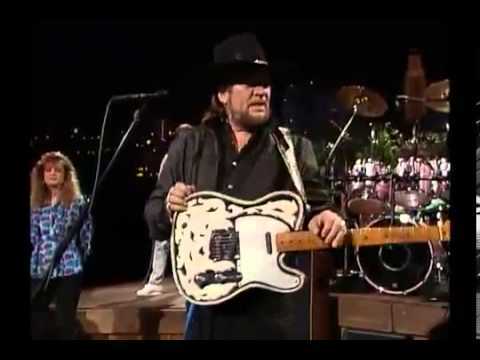 Like Haggard's episode, this is great stuff if you love outlaw/classic country. Jennings backing band is also great, especially Ralph Mooney on the pedal steel. Highly recommended if you love this music. Sophie has just one wish to make her wedding perfect: to have her father walk her down the aisle. Now she just has to find out who he is. 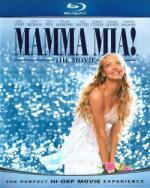 Join the music, laughter and fun of the irresistibly charming Mamma Mia! The Movie. Academy Award®-winner Meryl Streep* leads an all-star cast, including Pierce Brosnan and Colin Firth – as well as up-and-comers Amanda Seyfried and Dominic Cooper, in this musical celebration of mothers, daughters and fathers, and true loves lost and new ones found. Based on the Broadway smash-hit and filled with the ABBA songs you know and love, it's the feel-good experience that will have you singing and dancing over and over again. This is sweet, frothy fun. It's a bit campy and goofy, but it makes it work. I'm still not convinced Amanda Seyfried can act, but the ensemble cast masks that. Christine Baranski's character is basically the chick she played in Cybil. Some of the singing is not that great; a number of these actors sound like regular people singing. But it's no worse than some other musicals I can think of. The setting is gorgeous and the film moves quickly from one number to the next quickly. It doesn't seem like a two-hour film to me. Not great cinema by any stretch, but a really enjoyable film. Unlike some other folks I don't need the resolution to some questions, as I'm happy with the decision that having the answer doesn't matter. In the grand tradition of Disney's greatest musical classics such as Fantasia, Melody Time features seven classic stories, each enhanced with high-spirited music and unforgettable characters! Donald Duck — an all-time Disney favorite — puts on a display of jazzy antics as the star of "Blame It On The Samba." Music becomes a real adventure for a busy bumble bee in "Bumble Boogie." From the mischievous young tugboat in "Little Toot," to the heroes of legend and myth in "Johnny Appleseed" and "Pecos Bill," this feast for the eyes and ears entertains with wit and charm. A timeless addition to your video collection, Melody Time is a delightful Disney classic with something for everyone in your family! Another of Disney's package films, and like the others I've watched this year sadly sanitized for home video release (excising a smoking bit from Pecos Bill). I enjoyed all of the segments here, though my favorite was Trees (and I'm apparently in the minority with that). Bumble Boogie was also a lot of fun, as is Blame it on the Samba which reunites the Donald, Jose Carioca, and the Aracuan Bird. The more conventional Little Toot, Once Upon a Wintertime, and Pecos Bill are cute cartoons, but I found Johnny Appleseed to be a bit too saccharine. Recommended if you like Disney's short cartoons. This would make a great 2-pack with Make Mine Music, should Disney decide to release them on blu-ray. More Austin City Limits! Again, great short concert from an absolute legend. This is Cash's only appearance on the long-running show. Highly recommended. Is it a whole concert or? I'm a really big fan of Johnny Cash.. But if it is only a song or two.. It's just about one hour long, 14 songs. In René Clair's irrepressibly romantic portrait of the crowded tenements of Paris, a street singer and a gangster vie for the love of a beautiful young woman. This witty exploration of love and human foibles, told primarily through song, captures the flamboyant atmosphere of the city with sophisticated visuals and groundbreaking use of the new technology of movie sound. An international sensation upon its release, Under the Roofs of Paris is an exhilarating celebration of filmmaking and one of France's most beloved cinematic exports. This is an early sound film, so it very much comes off in style as a silent film. Clair is sparing with his use of sound, but he uses it in interesting ways so as not to give up the freedoms of camera movement. The filmmaking here is unique and excellent. Clair's camera and vision make Paris the uncredited co-star here. Sadly, the story isn't quite as good as Clair's filmmaking, as its a fairly conventional one of a beautiful girl and the men who vie for her attention. The actors all do a good job, and don't come off quite as hammy as most silent actors. I enjoyed the film, and it's an important work historically, but I'd only recommend it if you like silent cinema (even though it's a talkie). Again, more Austin City Limits! 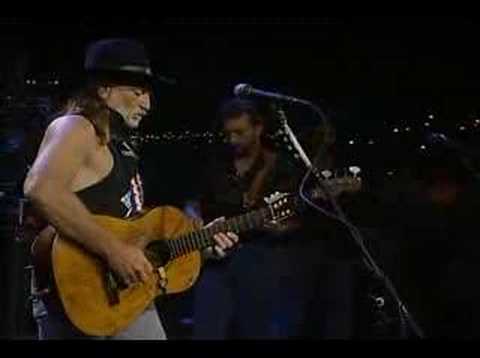 A great concert from Willie Nelson. He's appeared on the show 16 times, including the first episode in 1974. I'm out of classic outlaw country now, and will have to dip into some of my other episodes of the show next. Highly recommended if you like Willie.